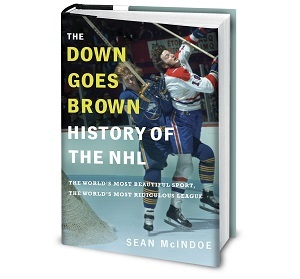 Down Goes Brown: Is Sundin's decision selfish? Yes. Mats Sundin has made it official. He's not waiving. There's been a lot of speculation and debate leading up to this announcement. And one of the many questions that Leaf fans have been debating is "Would it be selfish for Mats Sundin to refuse to go?" And the correct answer is "Yes, without question." Make no mistake, this is a selfish decision. Sundin is putting his own interests ahead of the team's. That's the very definition of selfish. He may very well have earned the right. Fourteen years buys you a right to some self-interest. He negotiated a no-trade clause in good faith, and he has every right to use it if he chooses. And one selfish act doesn't negate all the good he's done for this franchise over the years. He doesn't deserve to be painted as the bad guy. He doesn't deserve to be booed. But the fact remains that the Maple Leafs are further away form a Stanley Cup tonight than they would have been if he'd agreed to be traded. And they're further away because their leader chose to put himself ahead of the team. You can support his decision. You can still be a fan. You can even admire his loyalty. But let's not pretend this isn't a selfish move. There's no better word for it.